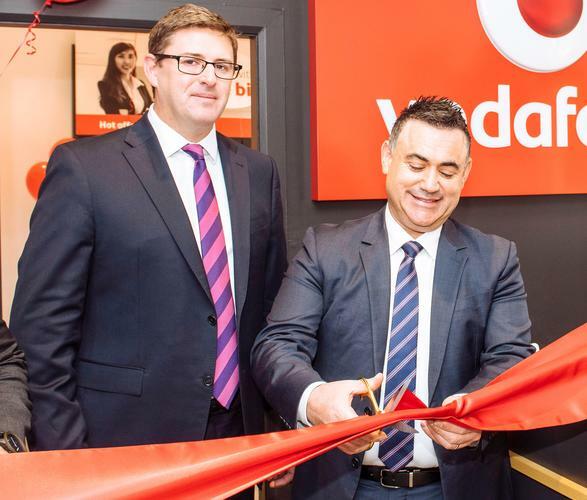 Vodafone has cut the ribbon on its first business centre in New South Wales. The new store, in Parramatta, showcases the company’s business plans, mobile devices and machine-to-machine (M2M) solutions. Earlier this year the company opened a similar centre in Adelaide. Officiating at today's opening of the 17 George Street store was NSW Minister for Small Business, John Barilaro. Vodafone executive general manager of enterprise, Stuart Kelly, said the selection of Parramatta as the company’s first business centre in the state was an obvious move. “It should be no surprise that we are opening our first NSW centre in Parramatta,” Kelly said. “Western Sydney has a significant small business community and is one of Australia’s fastest growing economies. It not only marks an investment by Vodafone in small business today, but also in the future. Mobile technology is now an essential part of doing business, according to Kelly, who said Vodafone was focused on supporting small business by not only providing quality services, but also educating SMBs on how to best leverage smartphones, tablets and other devices to increase their efficiency and reduce costs. “We recognise that in this day and age, it’s virtually impossible to run a business without utilising mobile technology. Our aim is to bring small business owners and operators great services while taking the time to educate and support them in how to use them,” he said. According to company research, 91 per cent of businesses believe that it’s important that IT and communications enable innovation as well as meeting operational needs. However, only 22 per cent believe their current systems deliver the flexibility and responsiveness they need. Vodafone will continue its multi-million dollar retail expansion for small business into 2016 and is expected to create around 200 full time jobs nationally. It expects to have four business centres in Australia by the end of the year.